This is not one of the usual topics I blog about, but nonetheless it’s quite relevant. If you leverage Conditional Access to protect your corporate resources, good chances are that you are blocking legacy authentication (or at least that is something you should consider doing). If you also fancy connecting to Exchange Online using Powershell for automation reasons, another good chance is that this is done with basic/legacy authentication. This is obviously a conflict with my first statement, so I figured it would make a good blog post to describe how to connect to Exchange Online automated with Modern Authentication while being protected by Conditional Access. If you are working with Microsoft Intune on a daily basis, chances are that you are familiar with the awesome Powershell Intune Graph script samples over at GitHub: https://github.com/microsoftgraph/powershell-intune-samples. If you are less familiar with Powershell, the script samples might seem a bit intimidating and difficult for some to put to use. The new Microsoft.Graph.Intune PowerShell Module to the rescue! Now, this post is not about using the actual module, but how you with a single click can connect to the Graph API and gain access to all the available cmdlets in a very easy and sufficient way. Then it came to my attention that Microsoft released another and new extension for Chrome last week. It’s called Microsoft Web Activities. This made me go through the approach again, and figured I wanted to cover the methods on how to install Google Chrome Extensions using Microsoft Intune. Now, the scenario might have many similarities compared to last week, but nevertheless there’s a real purpose with the crazyness. This is about getting started with Windows AutoPilot and giving you inspiration on how to do that. In my environment, it’s a whole lot easier to make the switch into AutoPilot for non-user devices (I bet I’m not alone on this one). That be devices which are shared between users in public spaces and kiosk devices in particular. I don’t know if this will have many uses, but I did a similar post on how to deploy RSAT for Windows 10 v1809 using SCCM (System Center Configuration Manager) back in October when 1809 was initially released. As most people know by now, RSAT is no longer a separate downloadable add on to Windows, but something which is included as “Features on Demand” in the OS itself. As the topic suggests, the following post will be about the Azure AD Application Proxy feature – a feature within Azure Active Directory. I haven’t blogged specifically about this feature before, but I do think it deserves a mention here as well. I will go into details on how to provide secure remote access to an internal IIS website, and give an example on how to add single sign-on to that experience while protecting everything with Conditional Access. Good news everyone! The feature was introduced at Ignite earlier this year and now it’s finally here. Windows AutoPilot now allows you to join your Windows 10 v1809 devices to your on-premises Active Directory (Hybrid Azure AD Join). All the magic lies in a new Intune connector for Active Directory. Sounds exciting, right? This will be everything you need to know, on how to get started with this new amazing feature. Removing the built-in apps in Windows 10 is often a hot topic and in same regard, it’s often discussed if and how they are removed. There are several excellent Powershell scripts for the same purpose made by the community, and they possibly satisfy most needs already. Last week I blogged about how to get properly started with Windows AutoPilot. This week I’m continuing on the topic, and going into details on how you can deploy the SCCM (System Center Configuration Manager) client as a part of the Windows AutoPilot enrollment and thus achieve Co-management with SCCM and Microsoft Intune. I have previously blogged a lot about Co-management. 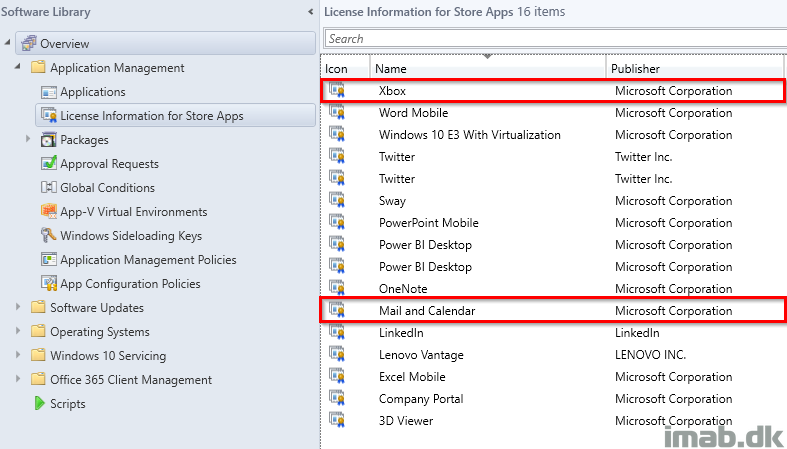 Focus here has been enrolling devices already managed by SCCM into Intune MDM. How to get properly started with Windows AutoPilot: Everything you initially need to know! It’s time for me to take on a new topic on the blog. I have been experimenting, working and blogging a lot about SCCM, Intune and Co-management, but never really touched base with Windows AutoPilot. Time is due and this will be the first in a series of posts about Windows AutoPilot and how to eventually reach Co-management with SCCM and Microsoft Intune through Windows AutoPilot.